Goosi is now available on App Store! From Dec 1 to Dec 5, 2018, the discounted price is $0.99. After Dec 5, the price will go back to $1.99. 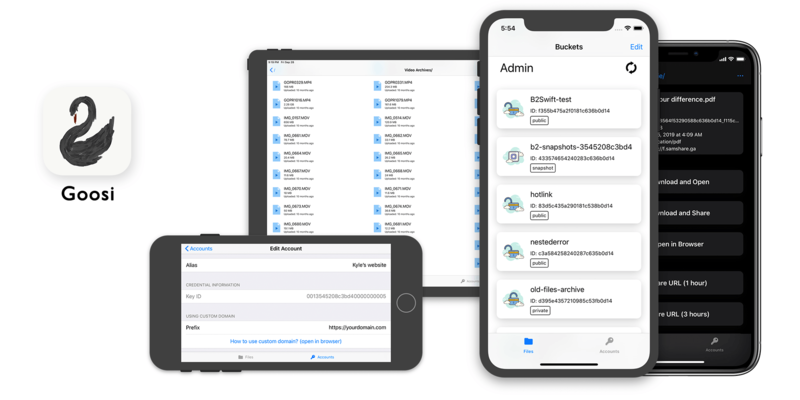 Goosi let you view and manage your files in Backblaze B2 storage on your iPhones or iPads.